Swaps will be every other month and they will be announced two months in advance. Don’t forget to bring your pin cushion to the next meeting. The possibility of a Quilt Bee were discussed, such as the “Selfish Bee” or the “Celebration Bee.” This topic will be revisited in the next meeting. The Charity Committee also presented a number of ideas that will be further explained in a survey. Look out for that survey in your email inbox. The Guild will be collecting books for a library. Kay Stephenson has volunteered to organize this effort. If you spoke to her during the meeting about helping her with this effort, please leave a comment to this blog post. The date was set for our Sew into Spring Sew-In. This Sew-In will be located at Fabricate Studios on April 13th from 8:00 am to 1:00 pm. A schedule will be sent a week prior to the event along with a lunch order form. Our President has asked each of us to create a fabric name tag. You should check out our Pinterest board for free tutorials and inspiration. 1.) Salvage: A modern Vintage Marketplace, features swag bags for the first 100 attendees, vintage finds, food and fun! Time: 11 a.m. – 6 p.m. 2.) Stitches South Knitting Expo April 12-24. As we are not a knitting guild, this crafty event is skill a need to know event for us! 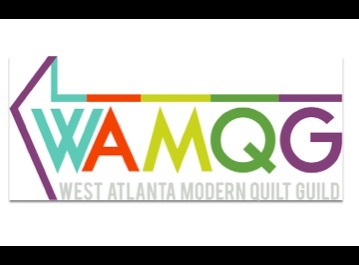 For more information go to the Stitches South Knitting Expo website. Complete your membership registration, you can do that here. Register for the guild’s newsletter. Bring something amazing for Show & Tell. Bring a pin cushion, made by you for the Pin Cushion Swap.